This material can be burnt in a standard Herz Binder Industrial boiler, you do not need a WID compliant system. Generally this material is only found where the providence is absolutely clear, eg waste material from manufacture of furniture and burnt at the manufacturign site. This material can be burnt in a standard Herz Binder Industrial boiler, you do not need a WID compliant system. This material can only be burnt in WID compliant system, 2 sec @ 850°C with currect flue gas cleanup plant. 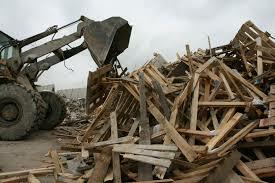 Is hazardous waste consisti ng of wood which has had copper, chrome, arsenic (CCA) treatment or creosote applied. It can only be disposed of by incineration or hazardous waste landfill. This material must be burnt in an elevated temperature WID compliant system. 2 sec @ 1,100°C with currect flue gas cleanup plant. Click the links below to download a standard layout drawing for the Herz Binder WID compliant boilers.